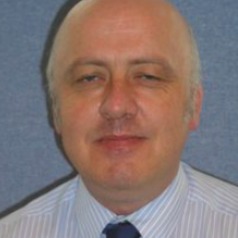 Dr Iain Sanderson is a lecturer on, the Fire Risk Engineering at Glasgow Caledonian University. Iain worked for Strathclyde Fire Brigade for 27 years before joining the school, during which time he specialised in fire safety for 17 years. He was in charge of the Fire Safety Office in East Kilbride for 12 years with overall responsibility for all Fire Safety matters, including inspections under the Scottish Fire Safety Legislation. The work additionally included the assessment of Fire Engineering proposals in major developments. He was also seconded to the Building Control Division of the Scottish Executive to assist in amending fire related aspects of the Scottish Building Regulations. In addition to lecturing, Iain also carries out third party reviews of Fire Engineering Strategies and runs CPD courses for external audiences on fire safety related topics. He is a reviewer for the Fire Safety Journal and The International Association of Fire Safety and Science conference.